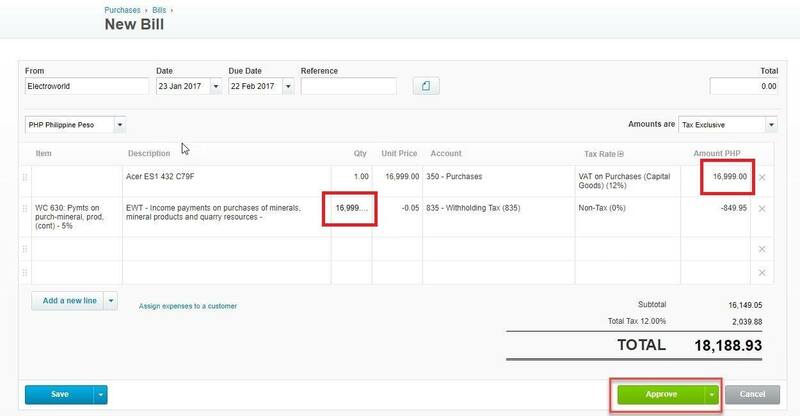 Before creating withholding tax reports via JuanTax and Xero integration, you should first learn how to correctly enter your purchase information in Xero. 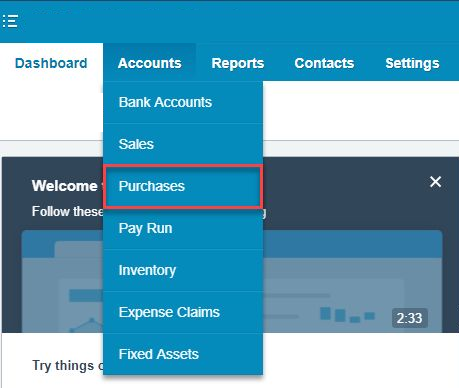 Once you're logged into your Xero account, Go to the Accounts tab and select Purchases. Click the New button and select Bill in the pull-down menu. Enter all the appropriate information for each field and then click the Approve button. Take note that the amount entered in the Qty column of the withholding tax line item should be copied from the taxable amount in the Amount PHP column. Always remember to use the proper code in the Item column.